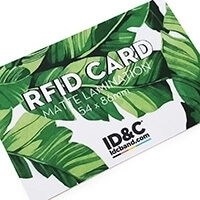 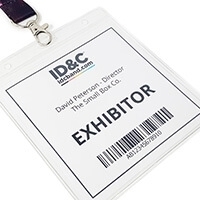 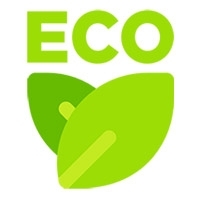 With increased pressure on event organisers to lower their carbon footprint, we have seen a rise in demand from our customers for us to provide more eco-friendly products. 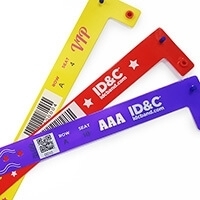 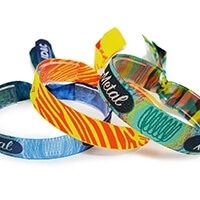 Our classic festival wristbands are now available in a recycled PET fabric with satin finish, offering a more eco-friendly alternative to our other wristbands. 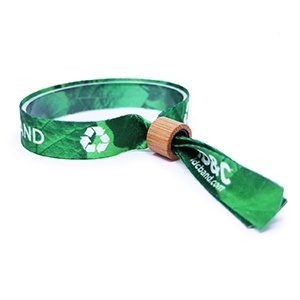 Made from recycled plastic bottles, they are also available with our new bamboo barrel lock, 50% less plastic than our standard barrel lock. 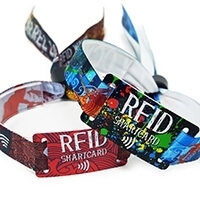 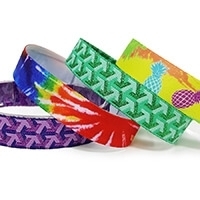 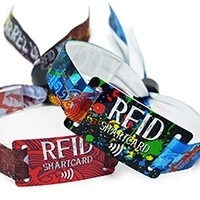 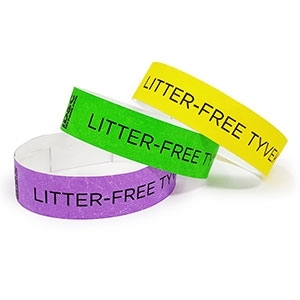 Made from the same material as our recycled fabric wristbands. 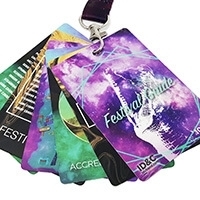 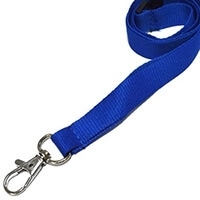 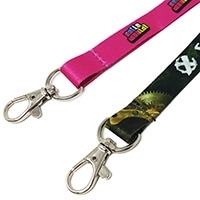 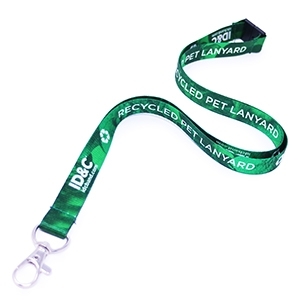 Our Full-colour PET lanyards are made from recycled plastic bottles, available in full colour print on a satin finish for a premium look and feel. 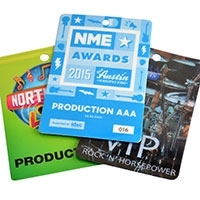 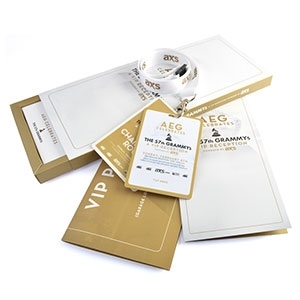 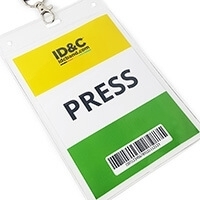 Our paper passes are a cost effective solution for the budget and environment conscious, they can be recycled unlike our laminate passes. 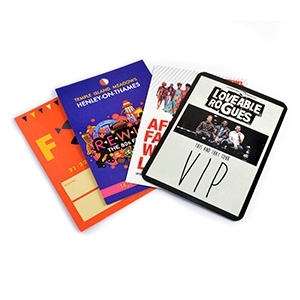 Available in full-colour, high quality print. 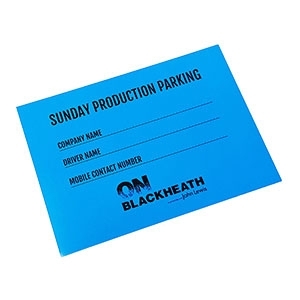 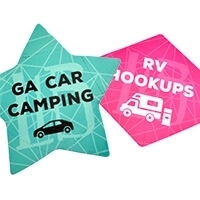 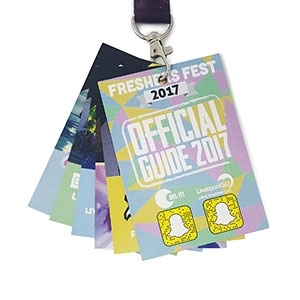 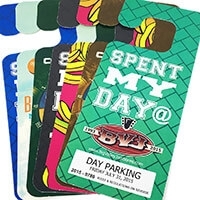 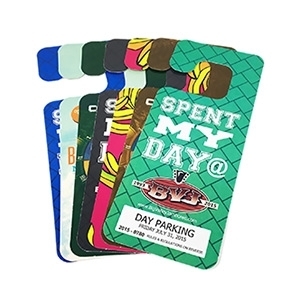 Our parking mirror hooks are popular among large outdoor events, they are made from recyclable card and can be printed in full-colour. 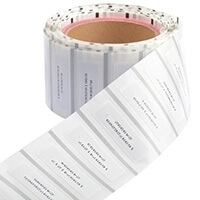 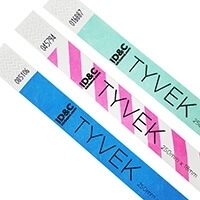 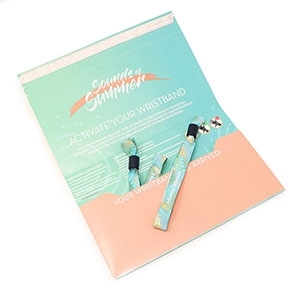 Our classic single-day paper wristband now comes with a non-removeable peel tab to reduce the level of waste produced. 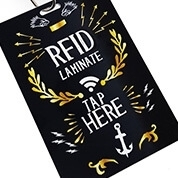 Available with black print only.